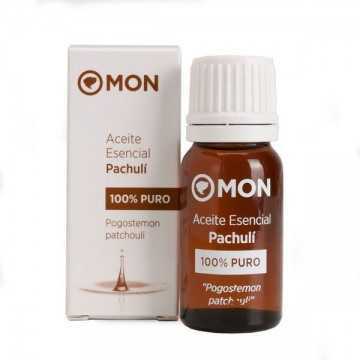 Patchouli Essential Oil Mon Deconatur. It is a powerful skin regenerator. Helps reduce wrinkles, blemishes and imperfections. It is a powerful skin regenerator. Helps reduce wrinkles, blemishes and imperfections. Patchouli is an excellent source of nourishing hair. In mind, it has a stimulating and at the same time relaxing effect. Calm in cases of anxiety and balance of emotions. It is also an essential aphrodisiac oil that acts as a sexual stimulant. Create a natural exotic scent with Patchouli's essential oil. This essential oil was already used directly as a perfume in the 70's. Apply a few drops and you will notice how the smell lasts for hours. Do not ingest. Avoid eye contact.